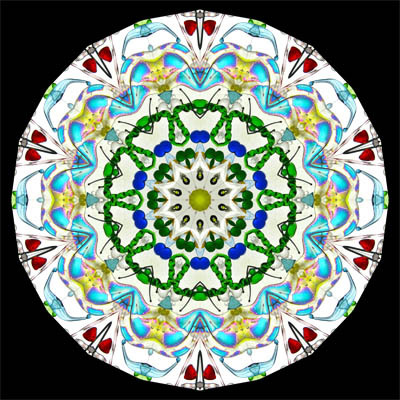 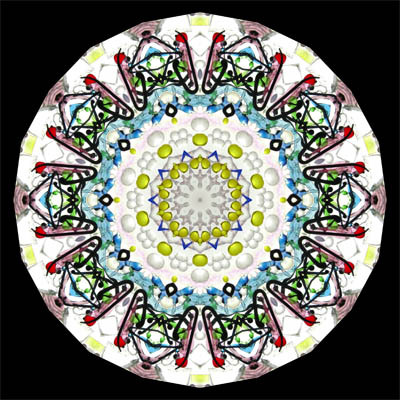 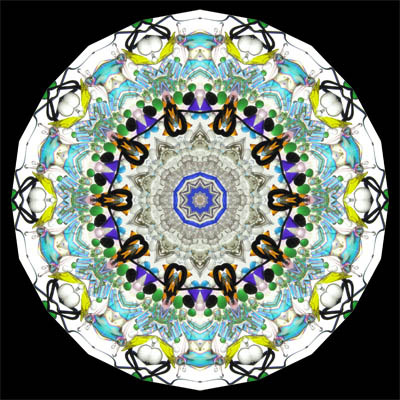 A tapered two mirror system produces spectacular 10-point images with all of the glass in the free-turning dry object cell lampworked for greater detail. 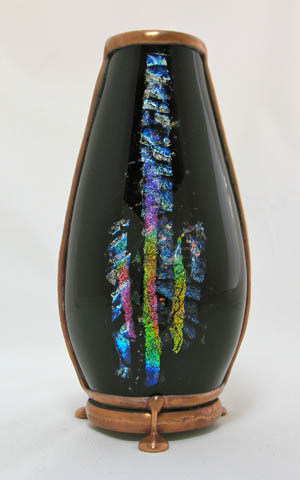 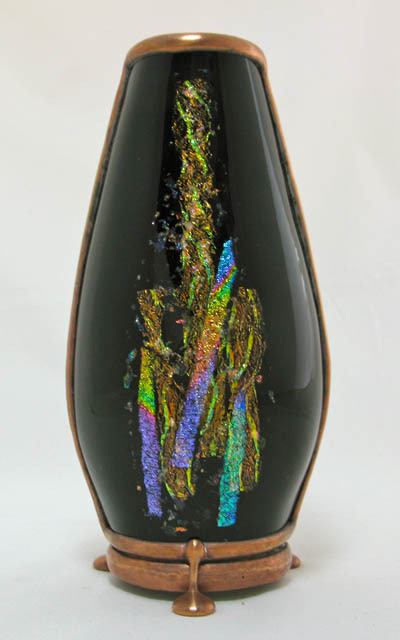 A fused dichroic treatment as part of the object cell acts as a softening filter behind the image. 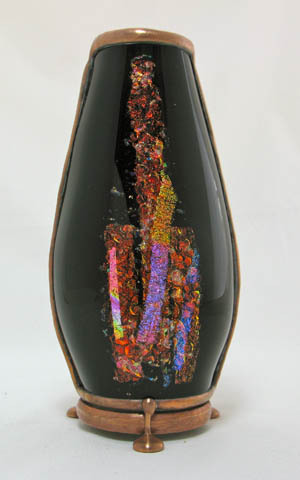 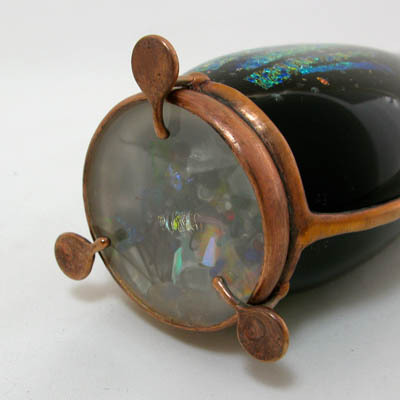 Edition #3 stands 6” tall and is very heavy for its small size, very typical of a paperweight.